What is it about this corner spot in a tiny strip mall, just off of Lafayette’s main drag, that attracts notable French chefs? Maybe it’s the charming, twinkle-lit patio – perhaps the prettiest al fresco eating area in town. Or maybe it’s the intimate dining room and bar that allow for easy mingling with guests. Whatever the draw, gastronomes are delighted that the location continues to be a go-to for crème de la crème cuisine Française. RÊVE is not your grandmother’s French restaurant – the anniversary or birthday-splurge kind of place. While it’s certainly a great venue for a celebration, RÊVE is meant for everyday dining, with kids. 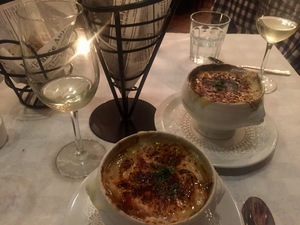 Here, Chef Paul Magu pays homage to the French comfort food on which he grew-up – authentic French onion soup, steak frites, cassoulets, and fricassées. Locals are encouraged to stop in for an apéritif and a little pâté on their way home from work, or an espresso and crème brulee after a movie. Chef Magu brings to RÊVE his experiences of working with some of the best chefs in the world such as Gérard Besson and Alain Ducasse. A former chef at the Ritz Carlton and St. Regis hotels in San Francisco, Magu dreamt of one day opening his own bistro. His desire to offer 5-star cuisine without 5-star pricing has been met. And the East Bay (and beyond) has taken notice. 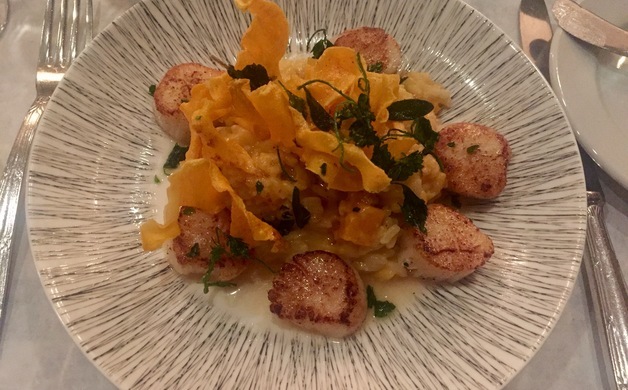 Favored items include classic starters such as gougères, bite-sized cheese puffs so light and delicious they warranted a recent Twitter shout-out from the San Francisco Chronicle’s Michael Bauer. Classic French onion soup is served with gooey, melted gruyere. 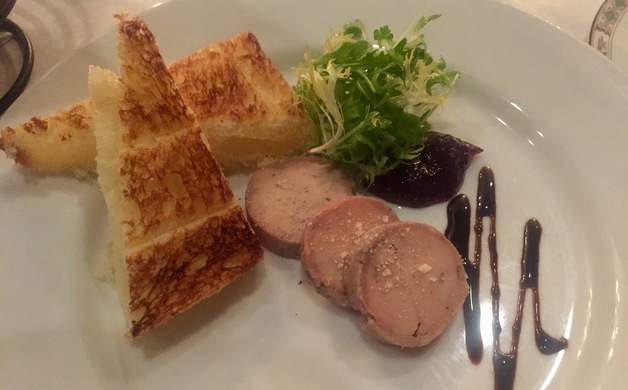 A creamy Foie Gras torchon served with fig jam and toast points is alone worthy of a visit. Enjoy with a flute of Domaine Allimant-Laugner, Cremant d'Alsace, Rosé NV or any of their other wine selections available by the glass, carafe, or bottle. (Or bring your own - free corkage Wednesday and Thursday nights.) A variety of Les Plats Principaux ensures that there’s something for every appetite: Filet de canard a l'orange, Maple Leaf duck breast with a classic French orange sauce, dried fruit polenta & braised endive, Noisettes de chevreuil polelees sauce grand veneur, medallions of venison with natural jus & lingonberry sauce, and Noix de St Jacques, seared day boat scallops over seasonal butternut squash risotto and sage brown butter – to name just a few. Children's portions (ages 2 - 10) of each dish are available for a mere $12, which includes a dessert of ice cream or sorbet.) 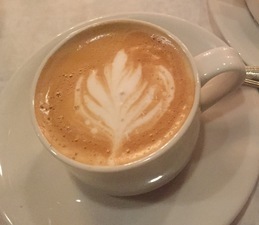 Daily specials are also offered, as is a selection of delectable desserts such as opera cake, chocolate mousse, or profiteroles, as well as full espresso service. Next time you hunger for a Parisian vacation, satiate with a visit to RÊVE. 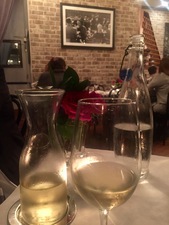 It’s the closest you’ll come to replicating the real thing….a little Paris in the ‘hood. Closed first two weeks of August.